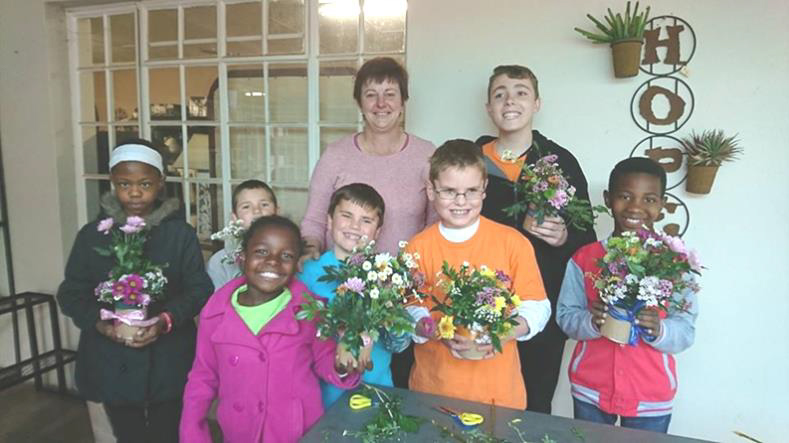 A little history about Wings (How it all started…) The idea to start a special needs school was brought about by Mrs Ruth Beneke who saw the need for such a school in the community of Paulpietersburg. Unfortunately 2 of the learners did have to leave throughout the year but the school has also welcomed 2 new learners. Currently there are 7 learners at Wings. They have a wide range of learning barriers but the school works hard to accommodate each one according to his/her needs. 3 of the learners suffer from epilepsy and are on very strong medication to control their seizures. These medications come with many side effects, including tiredness and mood swings. 2 of the learners are hemiplegic and therefore need a lot of help to com-plete many tasks. One learner has a hearing impairment and due to this only being discovered late in her childhood, she has very de-layed speech. There is also a learner with emotional trauma which has resulted in learning impairments and severe behavioural disor-ders. 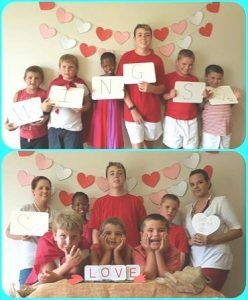 2 of the learners are also on the Autistic spectrum and most of learners also struggle with sensory processing disorders. Although this may seem overwhelming to an outsider, at Wings, they are all just children and are each supported and encouraged in order for them to meet their full potential. The children are taught that no dream is too big and that they can achieve anything they must their mind to. Wings has only just started but so much has been achieved in this year already. One just has to visit the school and spend a morning with the learners to see how happy they are and how they are thriv-ing in an environment which caters for their specific needs. There is still so much the school hopes to achieve for these children and for future learners. Unfortunately, however, finances are a huge con-cern. After a yearlong battle with the Department of Education and many empty promises the school has yet to be registered and there-fore gets absolutely no financial support. Everything that the school has achieved, including all expenses and running costs, has been made possible by generous donations from people in the communi-ty or by fundraising events done by the school. Even though Paulpietersburg is such a small town, the need for a school like Wings is huge. If not for Wings, these children would be forced to fit into a mainstream program. This is puts so much pres-sure on these children and often creates stress in the family set-up as well. 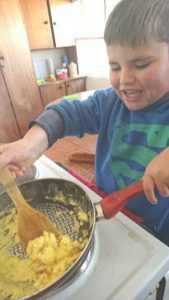 These children become overwhelmed with the work load and the inability to complete tasks or understand certain concepts leaves them feeling inadequate and isolated. It is therefore, so im-portant that special needs school, like Wings are given the support that they need. Every child has the right to an education and this education should be one that is suited to his/her needs.